Jaden Carlson has performed at the Boulder’s Fox Theatre. She has performed at Red Rocks— two nights in a row. She has jammed at local bars and recorded in local studios. And she tours nationally. 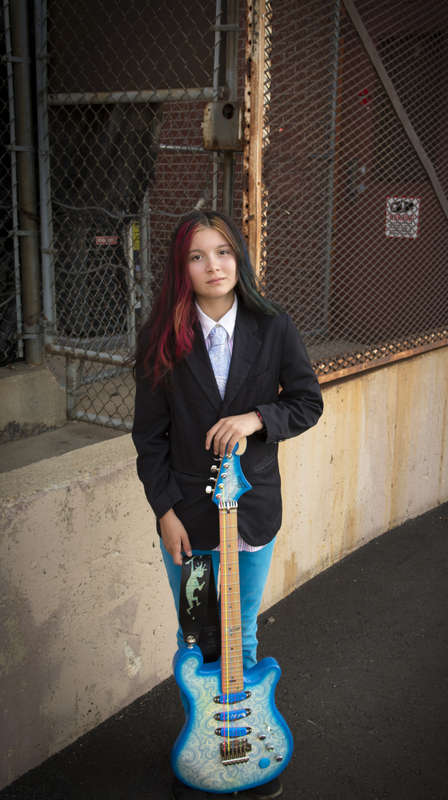 Her resume is more impressive than musicians three times her age, and she is just 13 years old. 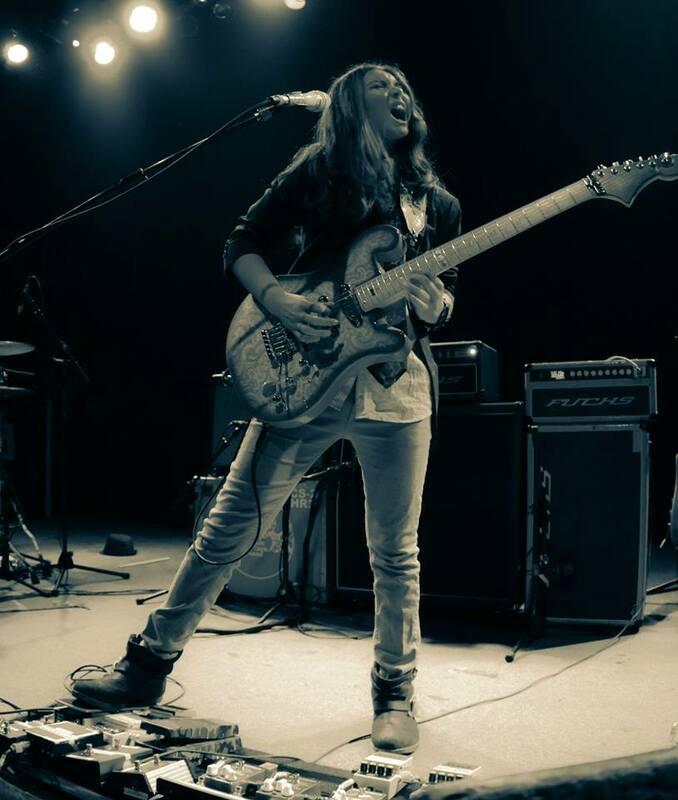 Jaden Carlson is a soul/funk/rock musician, a Boulder guitarist and vocalist. 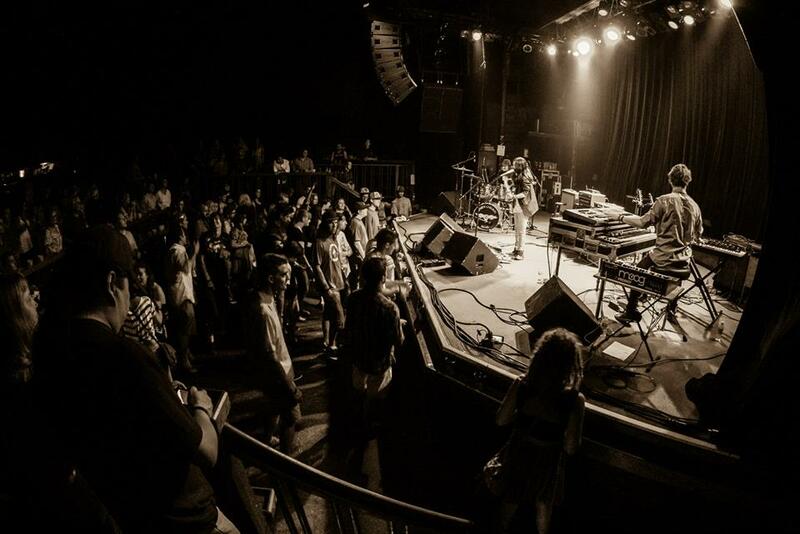 Her band, Jaden Carlson Band, plays venues and festivals nationally, and has made a name for itself as one of the most prominent acts in the Colorado funk jam scene. And a career in music has indeed already worked out for Jaden. Only three years later, she sat in as an opener onstage for this same musician that initially inspired her— Michael Franti. “I used to do solo singer/songwriter stuff and only hire a band for some songs. And now it’s a full funk dance ensemble” Carlson said. Jaden has just last Thursday released her fourth album, “Polychronic.” The album features drummer Will Trask and keyboardist/bassist Eric Luba. Trask is a 23-year old. He used to play with local band The Magic Beans that is now touring nationally. And Luba is also 23 years old. He is a trained Jazz and Blues musician from New Jersey. 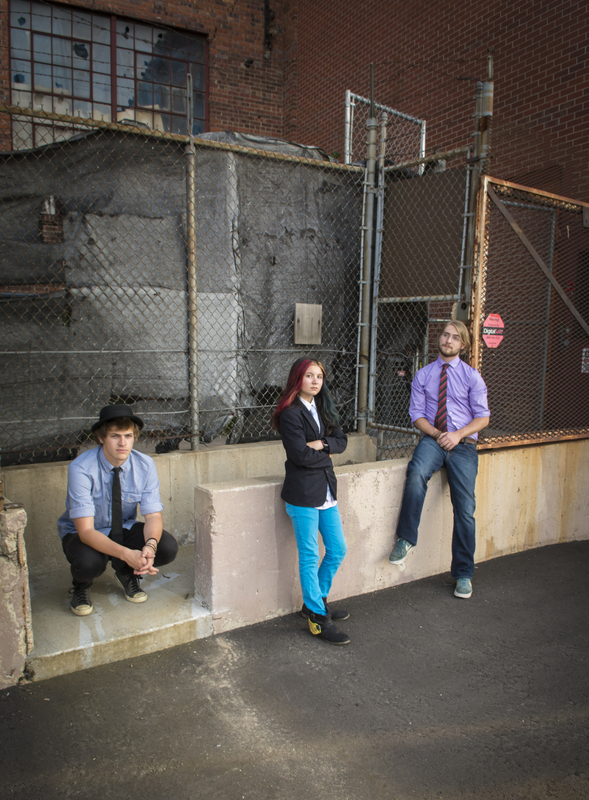 Trask and Luba used to jam together before Jaden discovered them, and the trio has officially become the Jaden Carlson Band. Jaden takes music very seriously, adhering to a practice and performance schedule comparable to a full-time job. She describes her first sessions with Luba and Trask as six hours straight for 11 consecutive days. Last week she returned from touring Colorado, a big summer for Jaden that included the band’s biggest headliner show yet—the Fox Theatre. And when she’s not playing music, she homeschools herself on the computer. A typical day for Jaden does not include the normal teen schoolgirl activities, such as soccer practice, fro-yo, and shopping. Instead, she and her mom, Kelly Carlson, travel between Boulder and Denver to various music-related engagements. Often on Tuesday nights, she plays in the house band at the Lazy Dog bar in Boulder, always chaperoned by mom. The weekly Tuesday Jam Night is a 21+ event that brings together a myriad of local musicians trying to practice, promote, and just play music. It’s a community of young adults with familiar faces, friends, and instruments. Jaden fits in, her age secondary to her skill. Luba and Trask have become close friends with Jaden, having toured the Rocky Mountains and the Western U.S. together. They describe rehearsals as concise and efficient, but the down time is filled with swordfights, cracking bad jokes, and childlike excitement. I’ve always listened to music my whole life, but I was at a concert, looked up at the stage, and said that’s what I want to do. Jaden Carlson Band is like a funk/fusion/soul dance type-thing. It’s our own thing really. It’s very unique. Me and the keyboardist, Eric Luba, write most of it. But Will helps too. When I’m on stage, there’s no age difference. But when I get off stage, my bandmates are definitely silly. Like really silly. It’s a really cool album. It’s called “Polychromatic,” for a reason. It’s a mix of stuff. It’s just some of my old stuff, obviously our band— some of our band’s new direction stuff. It’s my fourth, my first one as a band though. An actual band. So I played a year ago at The Fillmore with Umphreys McGee for their New Years show. I’ve sat in with Blues Traveller and Michael Franti at Red Rocks a couple years ago. I’ve opened for people at the 1st Bank Center. I’ve played The Ogden and stuff. So some pretty cool venues. I do music ‘cause I love it. I just hope we can do it our whole lives. Until I’m like 90 and my fingers don’t work.